The unify stuff seems to be quite good, and looks about the same quality as this one. I would say the housing for this one looks better and has better cable routing (can be routes such that you cannot cut it). I'll post more in detail on it, with pictures, once I have one on the wall. Ooh, unifi do a full HD one too - interesting. Yep, we've got a load of UniFi cameras, mutts nuts... just works as with all Unifi kit. I would have said the same... Unifi kit is great, the software and apps are fab. From my point of view (author of open protocols CCTV software) the unifi kit is very proprietary, with very little chance of anything else talking to them direct. Makes them useless for streaming video services. They support rtsp/H264 type stuff as far as I know - should work fine for most streaming software.... However.... I believe In later versions these streams are generated by their appliance and disabled on the cameras. So you can *kinda* use them with something else too... Kinda. Define 'building inspector'. Under what authority? etc. I'd not bother with it. Yes I am a rebel. Err, man from council to get work meets building regulations! I thought there were physical separation requirements for runs of high voltage and low voltage cables? 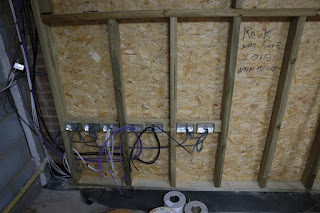 I believe the sparky knows what he is doing, and all cables have separate holes in wood and plasterboard for network and power, for example. 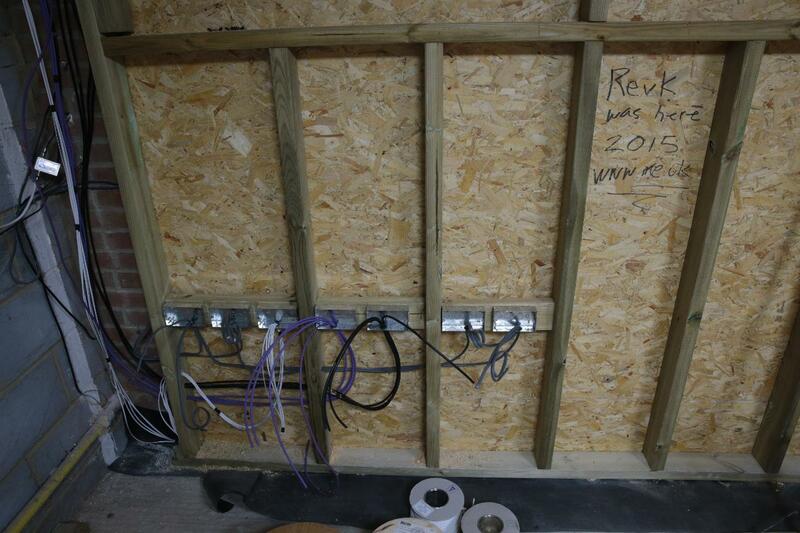 The floor box has separate trunking as well.